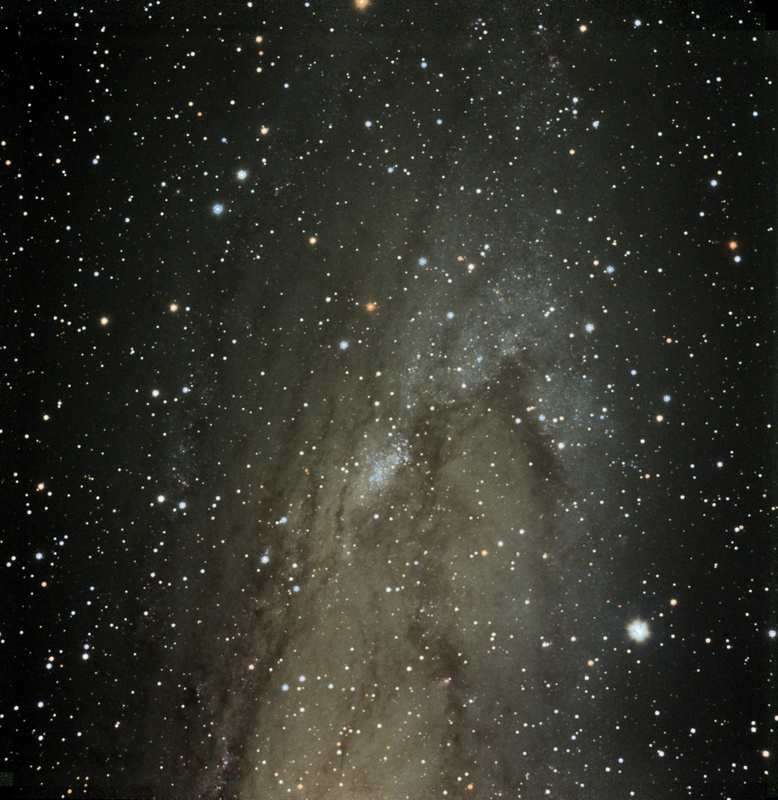 This was an attempt to image all of M31 through a mosaic of three exposure locations. We captured most of it, but perhaps could have benefitted from an even larger field of view. The most interesting parts to me are along the outer edge, where individual blue stars and a few nebulae can be seen. 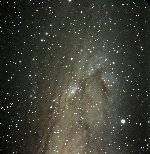 This is a new attempt to capture the star clouds along the southern end of M31, including NGC 206 (the brightest patch). 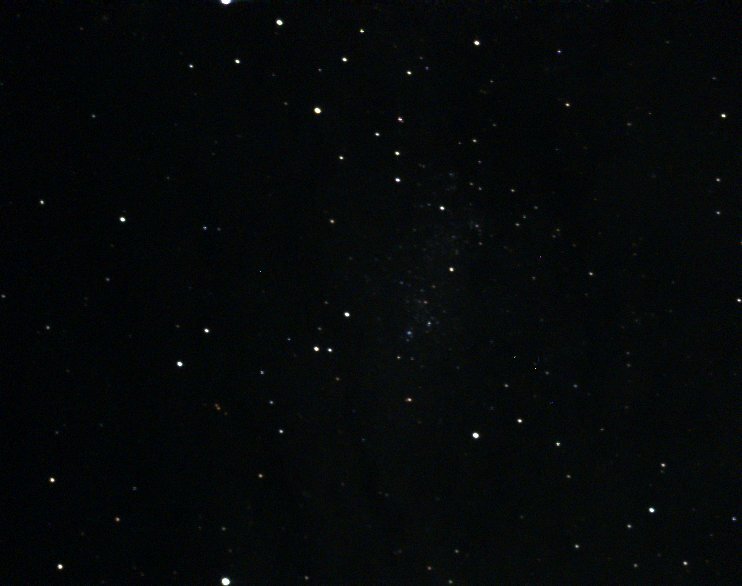 Numerous blue supergiant stars (and a few pink nebulae) can be seen, but the focus could have been better. This was our first shot of M31 using the new camera. However, this was at Houge Park where the sky is never very dark. 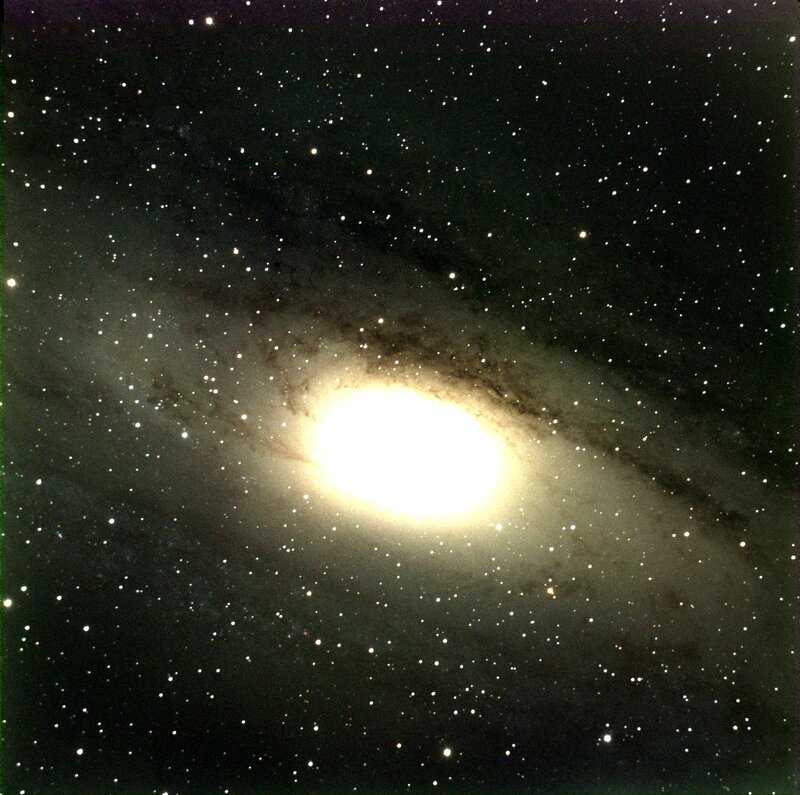 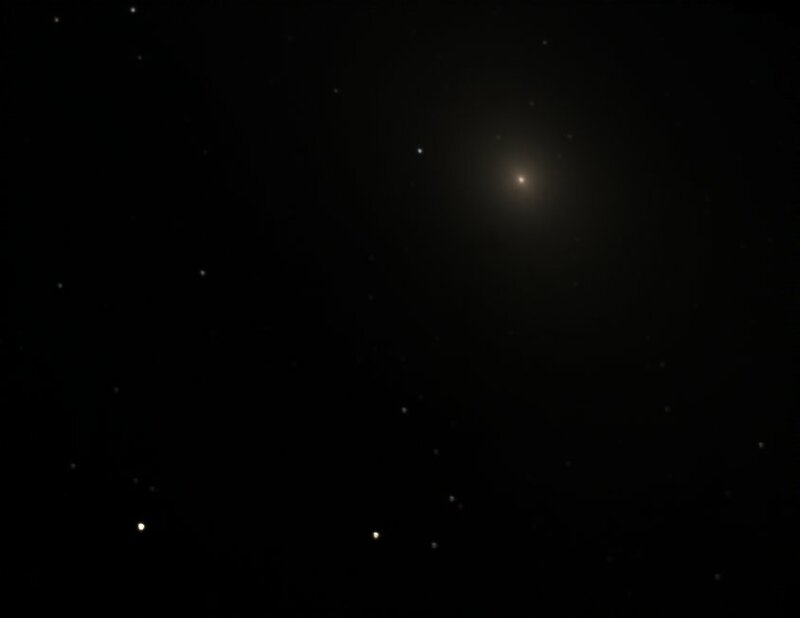 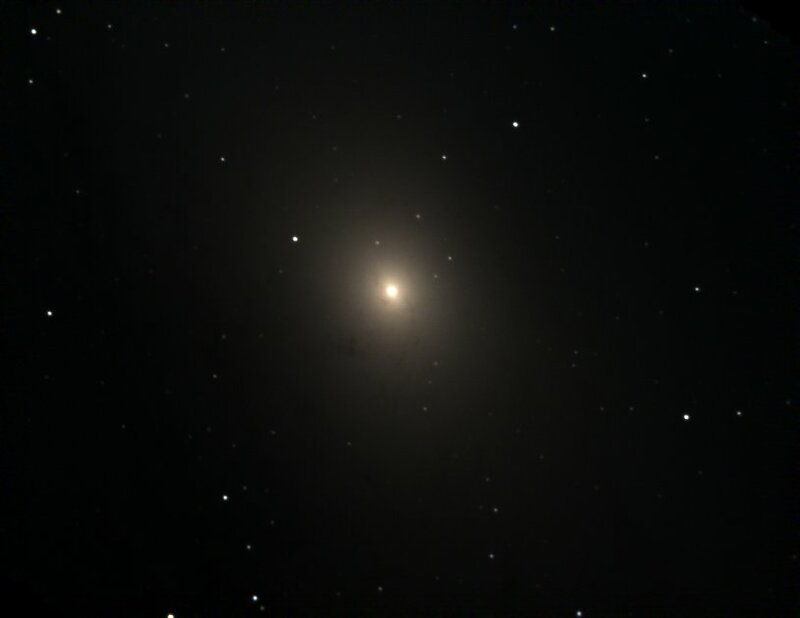 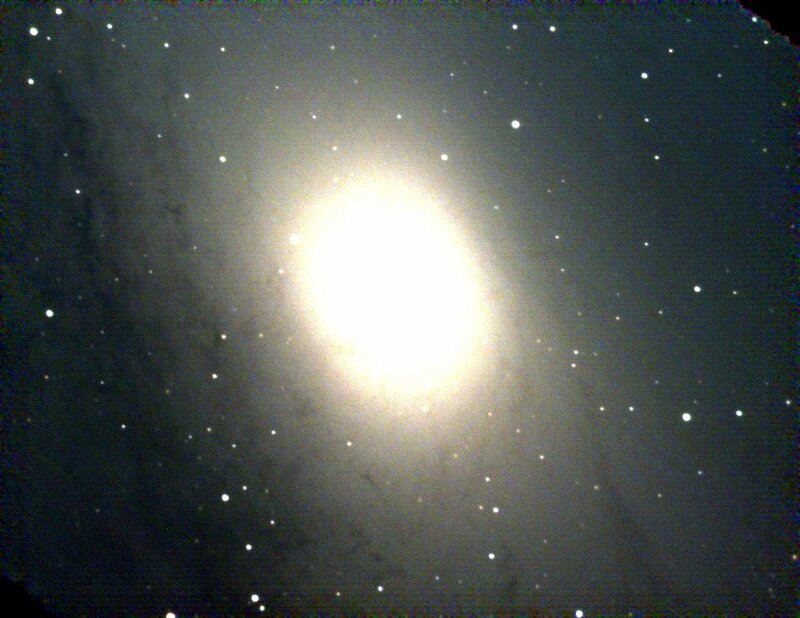 Only a small portion of M31 can fit in the field of view. 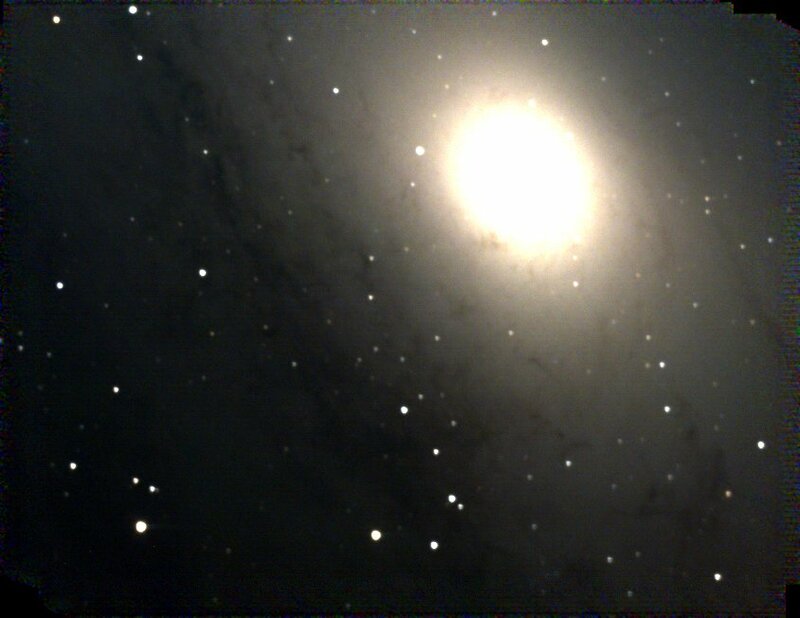 There are interesting features over a large range of brightnesses, so many intensity scalings are needed to show the true nature of this object. There is a very small and bright central core, and near the core there are interesting dark features (dust clouds). 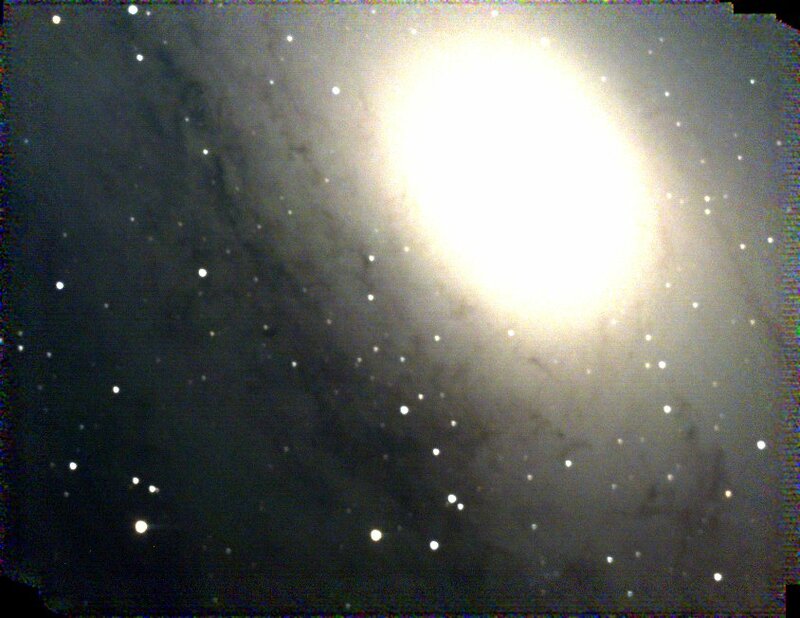 Towards the outer bands there are many more dark clouds with a lot of structure. Same as above, but centered on the main dark lanes. 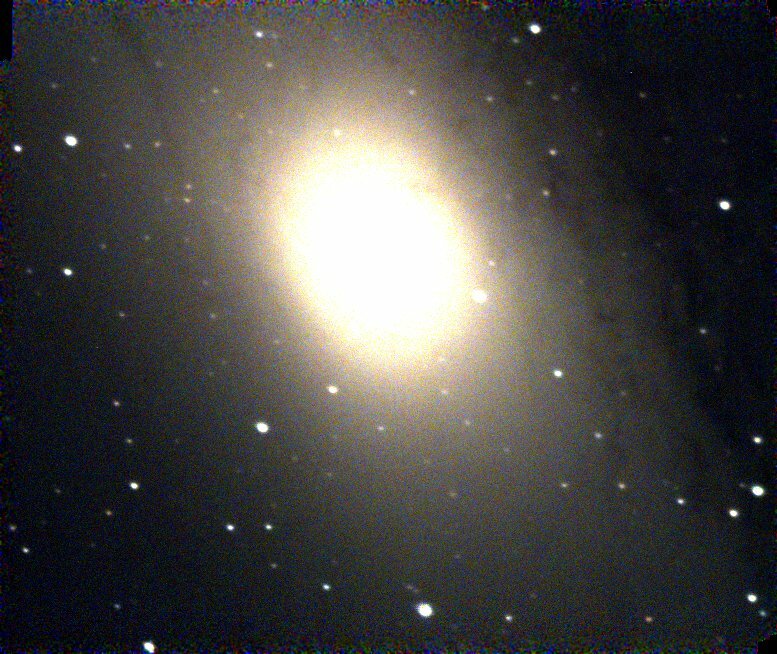 Here's another set of M31 taken with Jim on New Year's Day. 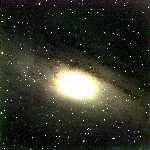 The bright patch in the middle is NGC 206, a star cloud within M31 (near the Southern end). 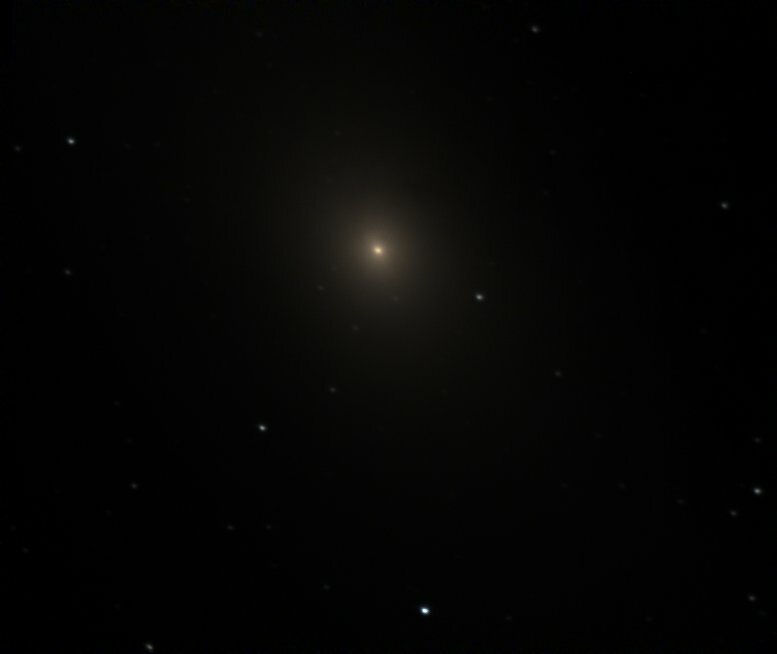 It was barely detectable visually. 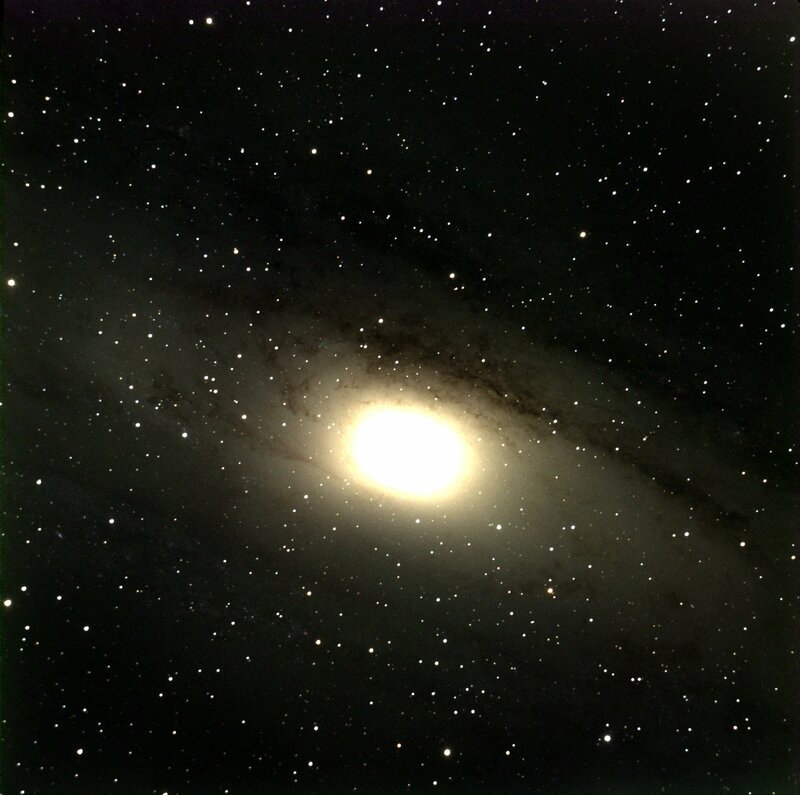 The center of M31 is far away, to the lower-right.